Kwanzaa is a weeklong celebration December 26 - January 1. Each day is dedicated to one of the seven principles known as the Nguzo Saba. The seven principles are Umoja (Unity), Kujichagulia (Self-Determination), Ujima (Collective Work & Responsibility), Ujamaa (Cooperative Economics), Nia (Purpose), Kuumba (Creativity), Imani (Faith). 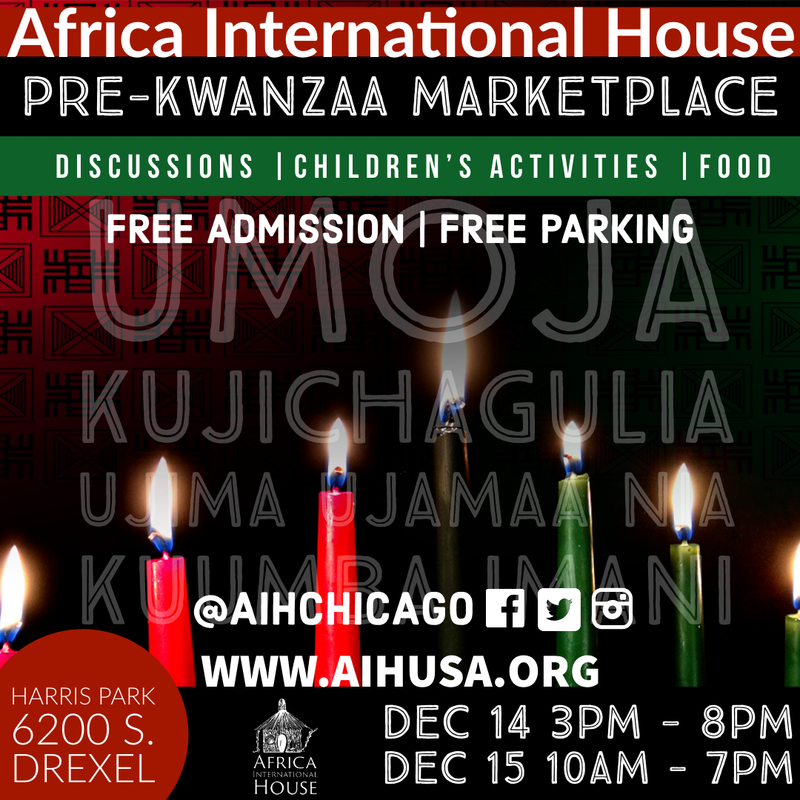 Download this graphic to promote the AIH Pre-Kwanzaa Marketplace. Sherrie's Earrings and Things. . .
www.craftinamerica.org. CELEBRATION episode Kwanzaa segment.This segment features African Festival of the Arts jeweler Babatunde Kenneth Graves.